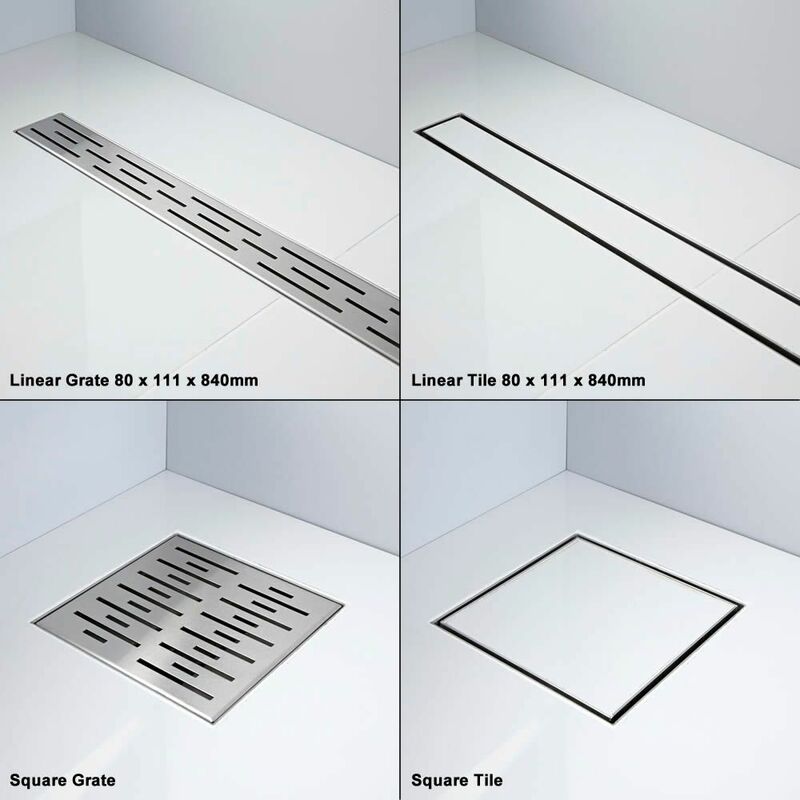 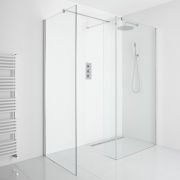 Smarten up your bathroom and create a designer look with the Milano wetroom glass panels and drain. 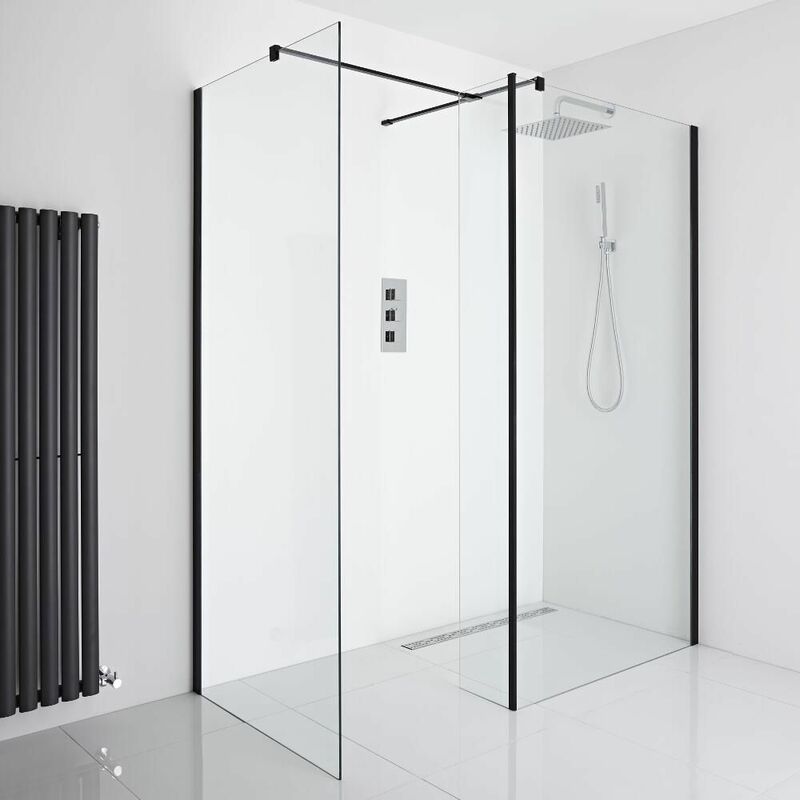 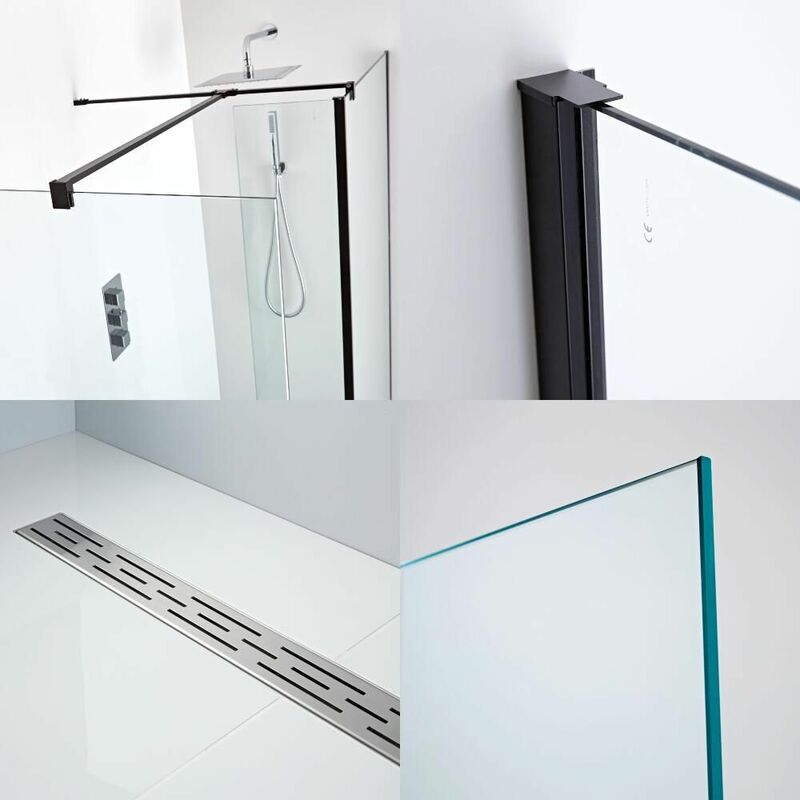 Providing easy access in and out of the shower, the glass panels feature a black profile and 8mm toughened glass with an easy clean protective coating. 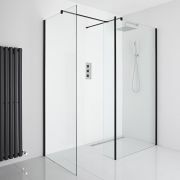 The 1200mm, 800mm and the 250mm return glass panels have a height of 1950mm to catch more splashes. 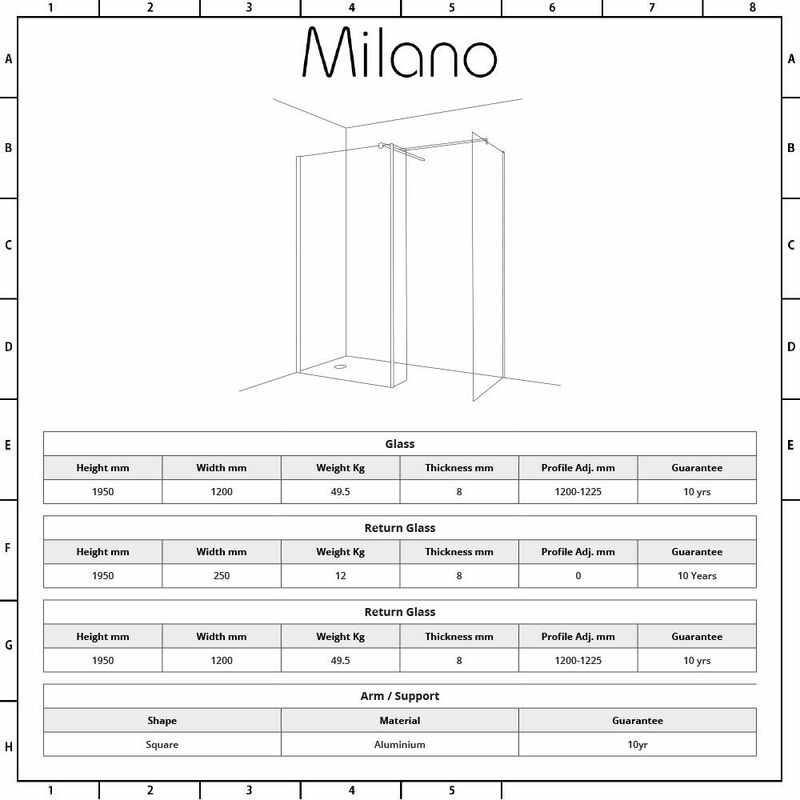 Support arms and a t-piece are included.